This Sept. 19, 2013 photo shows the sign of a Walmart store in San Jose, Calif.
Santa Claus will be coming to Wal-Mart this holiday season, NBC News reported. The retail giant is banking on an army of Santas and other holiday attractions to help regain market share from its biggest competitor, online giant Amazon. 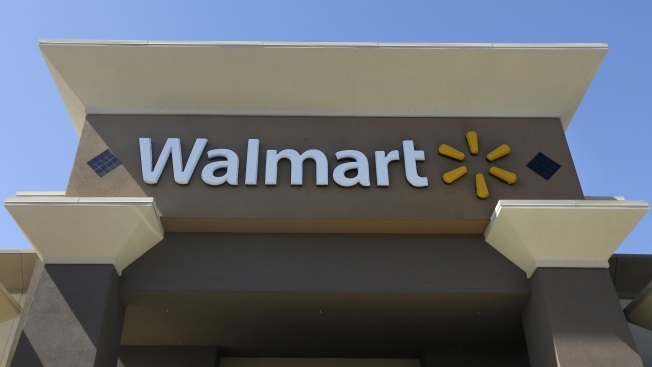 Shoppers at the 3,600 Supercenters across the country can expect a holiday experience, including carols, decorations and a photo-ready Santa Claus, Wal-Mart Chief Operating Officer Judith McKenna said in a press release. Analysts say the big-box retailer may see some success with its holiday plans, but that there are still challenges after customers get in the door, according to NBC News.